Download symbol, footprint, and 3D models to speed your design process. 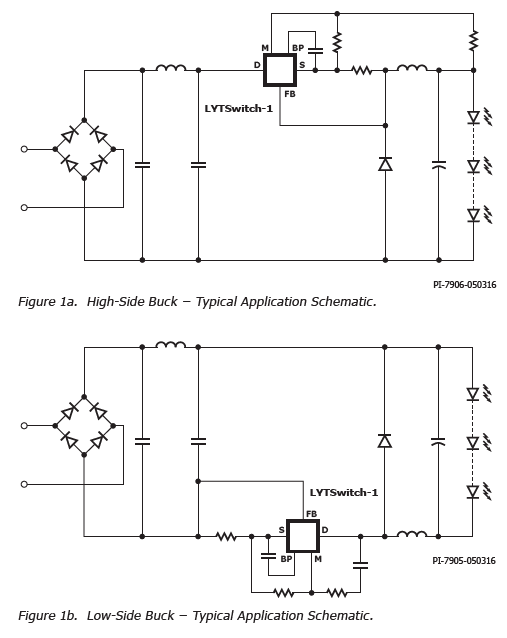 The LYTSwitch™-1 family is ideal for single-stage, high PF constant current LED bulbs and tubes. 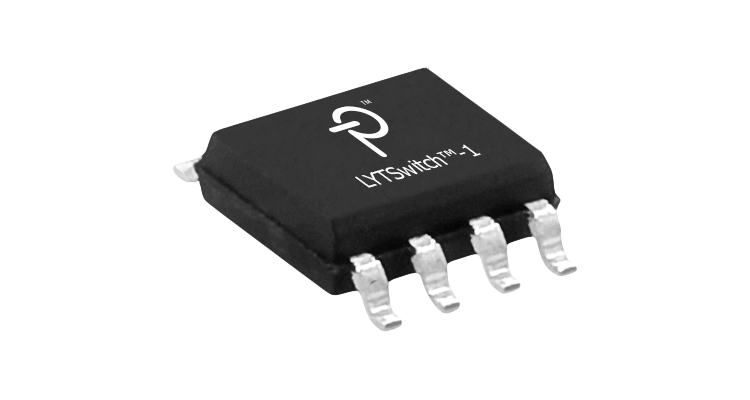 The family incorporates a high-voltage MOSFET with a variable on-time CrM controller. Extensive protection features with minimum external components provide industry leading power density and functionality. The devices can be used in high-side or low-side non-isolated buck topology. The CrM operation results in low turn-on losses and reduces cost of output diode (slower reverse recovery). Device power capability is related to the output voltage as illustrated in Table 1. The internal current limit of the device dictates the size selection based on output voltage and power. Maximum practical continuous power in an open frame design with adequate heat sinking, measured at 50°C ambient. Output power scales linearly if VOUT falls in between the specified voltages.